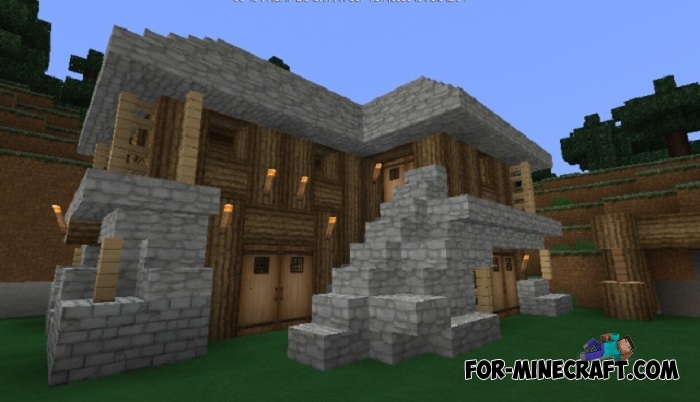 Creator (CharlyGlz) built a very simple but well suitable home for the survival in MCPE. 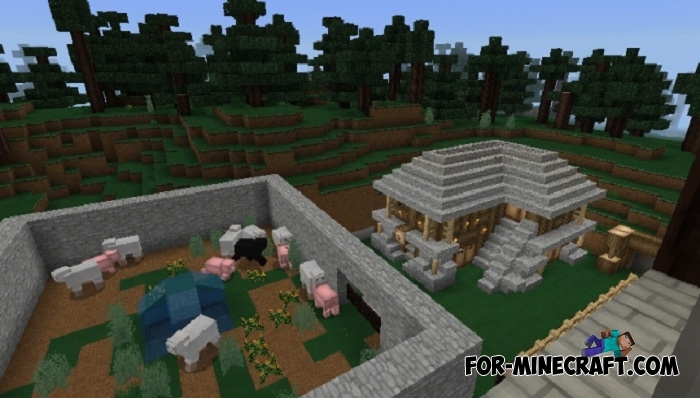 It's not even a house, but rather a homestead consisting of several small areas. 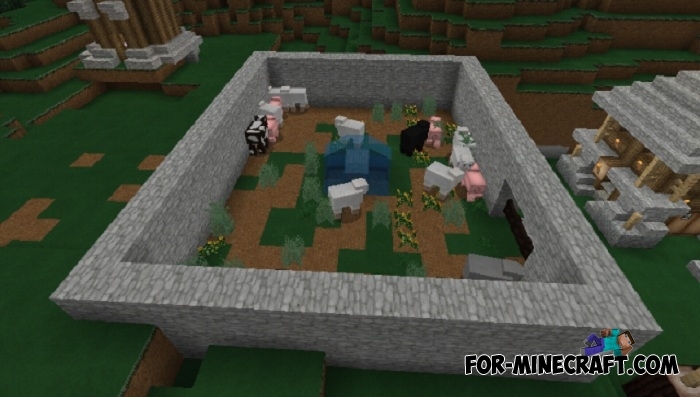 There are a farm for a small number of animals, an observation tower for the protection and control of the territory, your house and a second building with a gate. The house is really very simple, basic materials is a mixture of stone and wood. 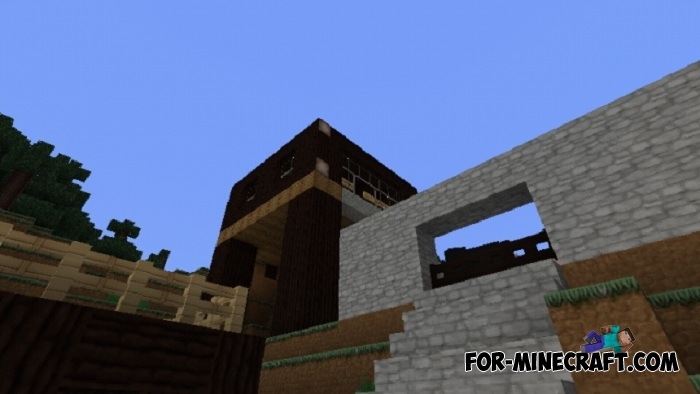 The screenshots show the popular texture pack (Soartex Fanver) that transforms a general view of all the buildings. 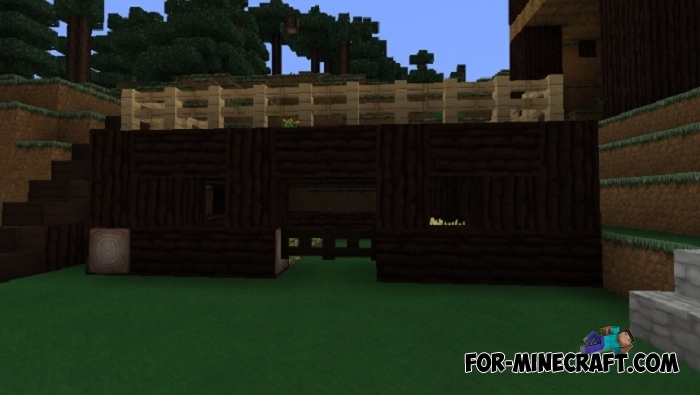 If you want, you can also download it and have a similar appearance of the blocks.